An update on DC United's attendance: the actual "soccer" capacity of RFK for this season is 19467 and not 24500 (as it was previously). This changes DCU's standings in the relative category significantly and puts their current average relative at 71%. Their average numbers are still well below what it used to be for the perennial champions of the 1990s and early 2000s. That number is currently 13751. In 2007, the average was 20967. New England and Columbus are also well below the numbers in previous years. 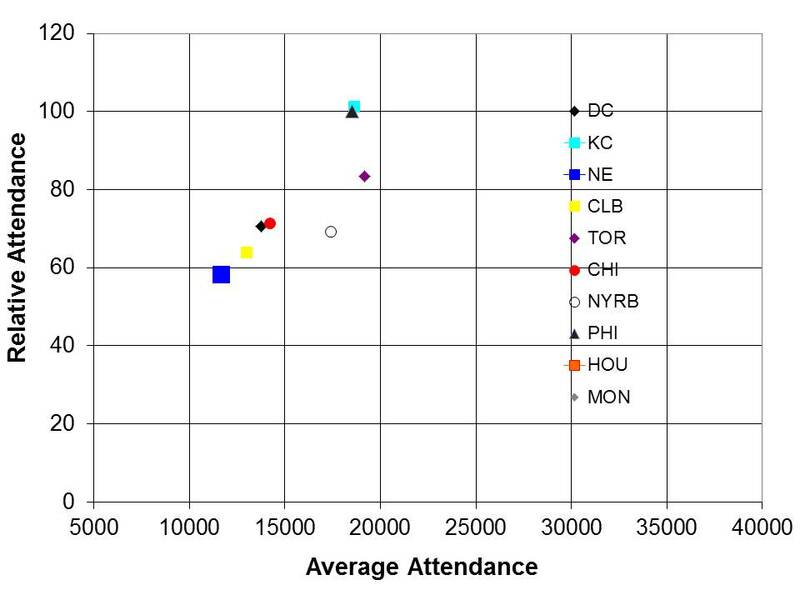 As a corollary to a previous post (week 5), the relative versus average attendance for the Eastern conference is provided above. Philadelphia and KC both have similar stadium capacities and are both selling out their home games. 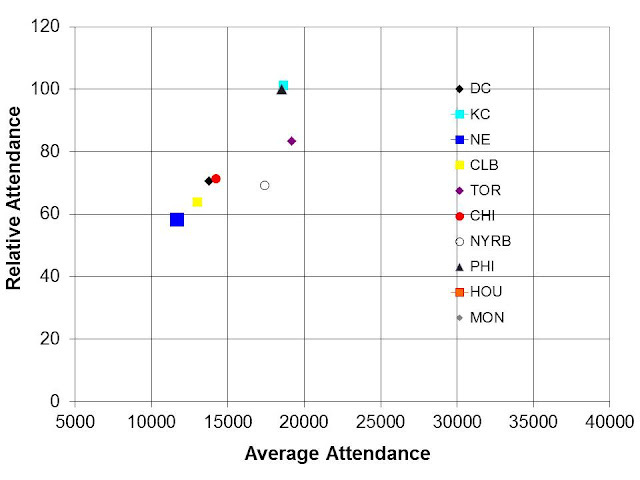 More interesting, perhaps, is the New York Red Bulls at 17426 average attendance but only 69% full. Bigger stadium but relatively weaker attendance than Toronto, for example.